Aquatherm Industries, Inc., the largest manufacturer of solar thermal equipment in the United States has named Reliable Solar of Melbourne, Florida a Master Dealer for the company's Solar Industries Solar Pool Heating System. Aquatherm President and CEO Dave Sizelove visited Reliable Solar owners Greg and Tricia McTaggart to welcome them into the manufacturer's exclusive network of Master Dealers. 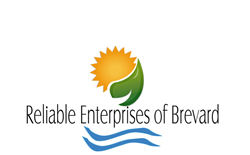 The United States’ largest manufacturer of solar thermal equipment, Aquatherm Industries, Inc., announced today it has named Reliable Solar Enterprises of Brevard, Inc. the newest Master Dealer of its original “flagship brand” of solar pool heaters, “Solar Industries.” Based in Melbourne, Florida, Reliable Solar has a 30-year track record of quality solar pool heater installations throughout Brevard County. Aquatherm Industries, Inc. President and CEO Dave Sizelove, personally visited the couple to welcome them into the manufacturer’s exclusive Master Dealer Program. The program was started in 1993 as a way to recognize dealers who hold themselves to a higher standard of quality and customer service. Master Dealers receive a number of benefits from Aquatherm, including upgraded and supplemental product warranties, co-op advertising funds to use with the manufacturer’s various sales and marketing programs, and leads generated by Aquatherm within a Master Dealer’s market. An ISO 9001:2008 registered company, Aquatherm Industries, Inc. is the largest U.S. manufacturer of low-temperature, unglazed polymer solar collectors – primarily used for residential and commercial swimming pool heating as well as domestic hot water and process pre-heat applications. Within the company’s “pellets to panels” approach, Aquatherm’s extrusion, welding, and injection molding processes have been awarded four U.S. and two International Patents for its technology. In addition, Aquatherm’s collectors were the first NSF-50 listed solar collectors in the world. Aquatherm distributors currently serve Australia, New Zealand, Hawaii, all of North, Central, and South America, France, Egypt, and Jordan.